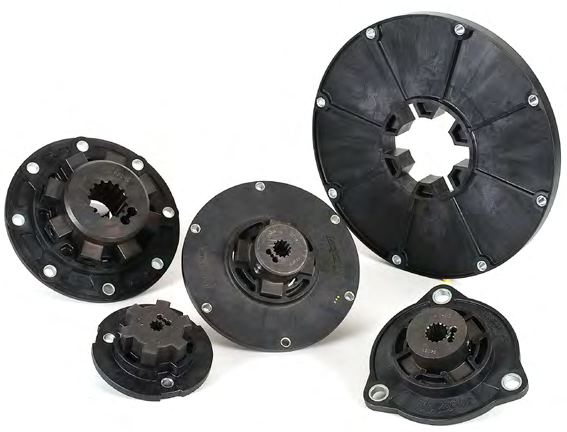 Lovejoy had been supplying LK150 SAE 11.5 -53 27T Torsional couplings for several years to a manufacturer of forestry equipment. We were always on time with our product and shipped approximately 25 per month, without any issues etc. Imagine my surprise when I received an e-mail from the Program Product Manager, stating that they were cancelling Lovejoy as a supplier due to frequent coupling failures. I telephoned the Product Manager to see what the failures were and was told he was in China. I therefore e-mailed him with a request to meet with him upon his return and a date was arranged for three weeks ahead. In the e-mail, I requested samples & photographs of the failures, together with copies of any warranty logs, for our review & analysis. A couple of days later, I received some photographs, which also showed the Machine Model Number, number of hours in use and ship date. From their photographs (which I will not share to protect the competitor), it was obvious that these couplings were not made by Lovejoy, but, a rival company, who we had secured the business from. I received an e-mail the next day from our customer with an apology and stating that Lovejoy would be reinstated as their coupling supplier. That afternoon we received an order for (25) couplings and we would also be receiving future orders for replacement elements. Conclusions: It pays to be diligent, get all the facts and know your product. Additionally, as cited in a previous blog post on the dangers of low cost couplings, even if two products look similar... it doesn't mean that they are of equivalent quality or will perform similarly. About the Author: Fred McWilliams has served as Lovejoy Canada's Eastern Accounts Manager for well over a decade. To tap into Fred's rich industry knowledge and experience, please contact him through Lovejoy Canada or reach out to him directly on LinkedIn.